While curls can beautifully attractive, dealing with them can be worrisome and downright aggravating. Making the change to straight hair can help you to have a look you not only like, but have an easier time in managing. Check out these tips about how to have straight hair that looks awesome. More and more men are growing their hair long. In fact, some men look great with long locks. 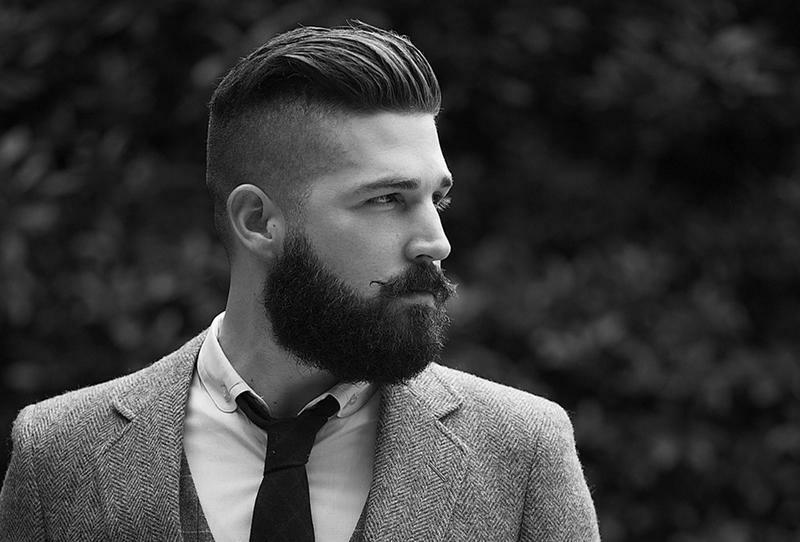 However, getting it to stop curling is an important aspect for the basic styles men wear with longer lengths. Using a straightener can be greatly helpful, but following the steps for doing so is important to prevent ruining your style altogether. Choose a product that has been tried and tested with great results. Talk to your hairstylist or barber about the brands they recommend for the best results. Some formulas are made from chemicals that can cause long-lasting damage. Making sure you choose a product that has conditioners as well is important to prevent drying due to chemical application. Many people avoid using chemical straighteners by choosing hair irons. If you would rather choose a chemical, consider visiting a professional hairdresser for its application. Otherwise, choosing an iron is the next best choice. You can find these irons for sale on Amazon or most department stores and using them is as simple as using a hairdryer. Separating one strand at a time and pulling it through a hot iron will straighten it. However, keep in mind that any type of heat like this will cause damage to your locks if used daily. Make sure you take steps to use intense conditioning treatments while you are using irons and hairdryers. Use an iron with caution to avoid burning your scalp, neck, or hands. Using a flat or Denman brush while locks are damp is a good way to get them straight as well. Pull down on strands while blowing with a hairdryer, repeating this process several times until the strand is completely dry. This is one way you can avoid the intense heat of an iron and the side effects of chemicals. However, it is not as long lasting and your curls will be back after the next shampooing. The shorter style you prefer can also be straightened. One way to do obtain a straight and short style is by choosing a hairdryer with combing attachments on it. Conair hairdryer with combing attachment. In this way, you can pull wet hair through the attached comb until is dry and straighter. This works well for longer lengths, but you run the risk of dealing with tangles with this method. Using a conditioner may help, but in some cases, it might also cause straightening to be less effective for this method. By following these tips about how to have straight hair, you can choose from many styles you may have thought you could not wear. Making the choice each for a different style is completely possible when you know all the tips to getting them. Keep in mind that caring for your locks starts with great shampoos and conditioners, especially when you use irons and hairdryers every day.